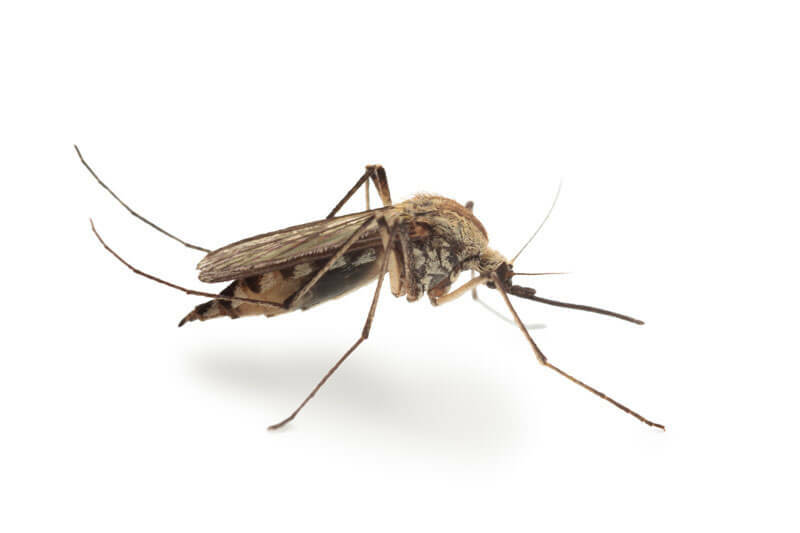 What Essential Oils to Use for Bug & Mosquito Bites? Today’s topics are bee stings and bug bites, oh my! First of all, the oils and recipes you’ll find below are for painful but not dangerous bites. 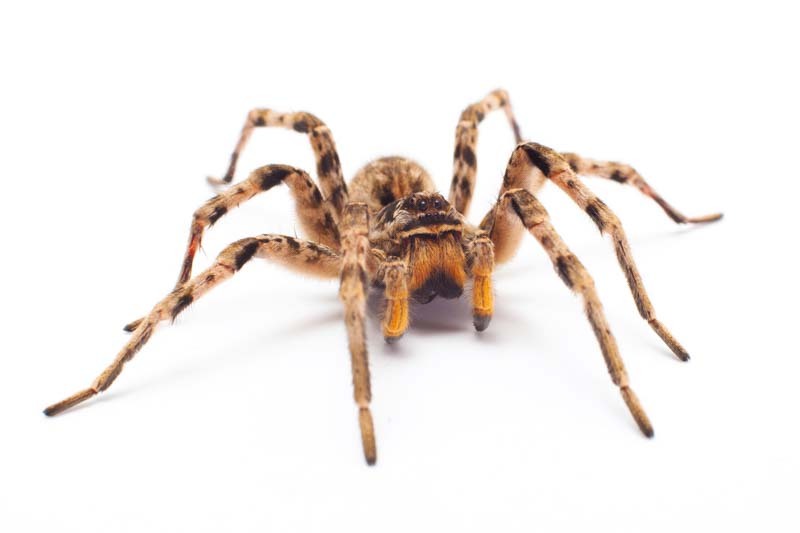 If you’re dealing with a bite from a particularly poisonous critter (black widows, snakes…) please go to the doctor. For snake bites, in particular, it is recommended that you call for medical help. 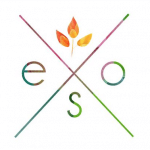 In this post, we’ll start by listing off the best essential oils for the job then follow that up with some recipes/mixtures applications that you should use to get the most out of your oils. Lastly, we’ll cover some non-essential oil based natural remedies that you could use as well. All right, on to the oils! Pretty much every essential oil collector has a bottle or two of lavender – and for good reason. Lavender is an analgesic, anti-inflammatory, antiseptic, antiviral, bactericide, calming, cicatrizant, fungicide, nervine, relaxing, sedative. These properties mean it’s perfect for treating your bites and stings. Lavender is not only calming to the skin, but to the nerves in general. It has a pleasant smell that bugs (and their bites) seem to hate. What’s not to love! Tea tree is another staple oil that you shouldn’t be without. 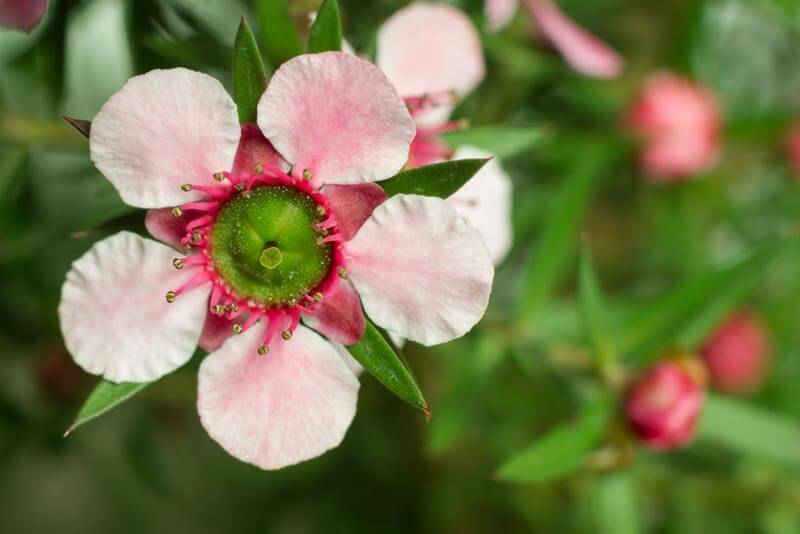 Tea tree cleans out wounds effectively while helping to relieve itching, stinging and inflammation. Tea tree is antibacterial, antimicrobial, anti-fungal, antiseptic, cicatristant, expectorant, fungicide, immunostimulant, insecticide, stimulant and sudorific. 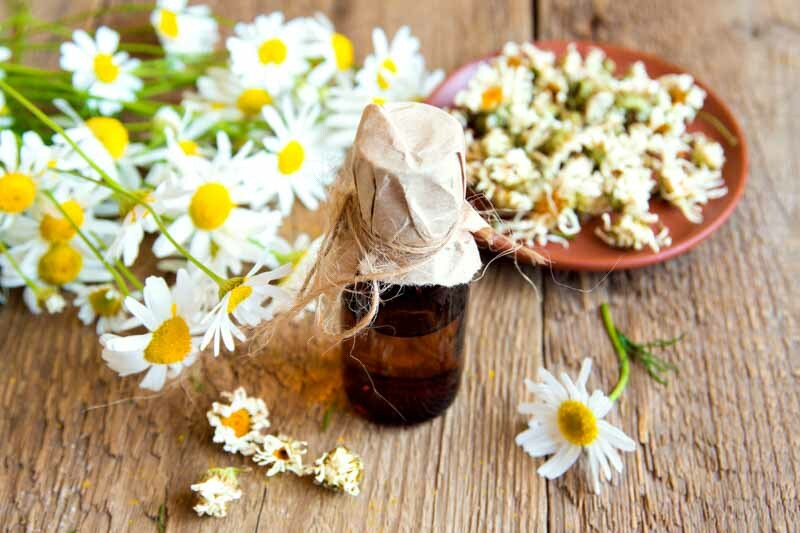 Chamomile is an excellent calming and relaxing oil. It is great for soothing inflammation and relieving pain. Chamomile is an analgesic, anti-inflammatory, antiseptic, antispasmodic, bactericidal, carminative, sedative, febrifuge, vulnerary, tonic. 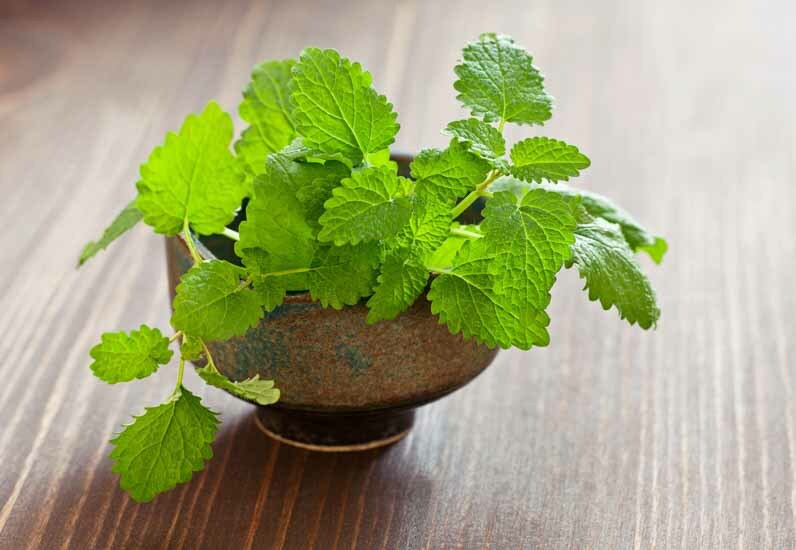 Melissa, also known as lemon balm, has a calming and uplifting effect on the body. It has fantastic antiviral and antibacterial properties which makes it an effective treatment for cuts, scrapes, bites, and stings. Melissa oil is antidepressant, antispasmodic, antiviral, carminative, emmenagogoue, hypotensive, nervine, sedative and tonic. 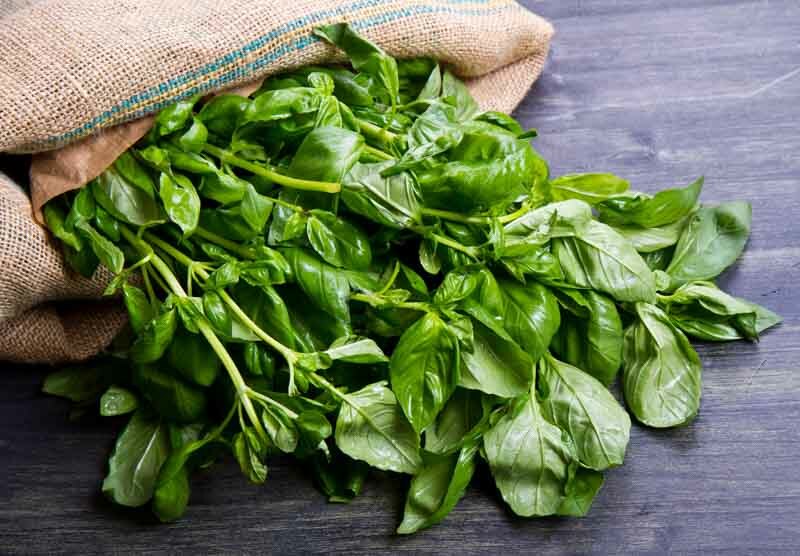 Basil has some excellent anti-inflammatory properties, therefore helping it to reduce inflammation inside our around insect bites or stings. Thyme oil helps to keep wounds, cuts, and sores clean and infection-free. 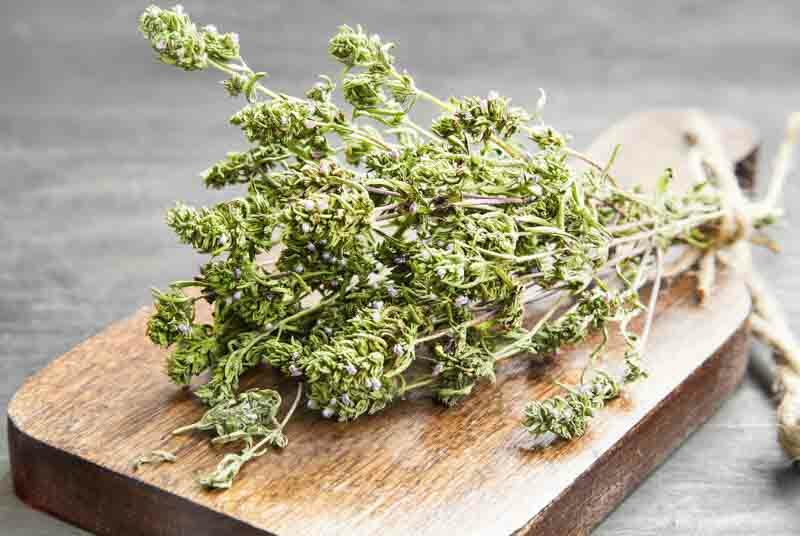 Thyme oil safeguards bite and stings against infection and help to keep the wounds clean. 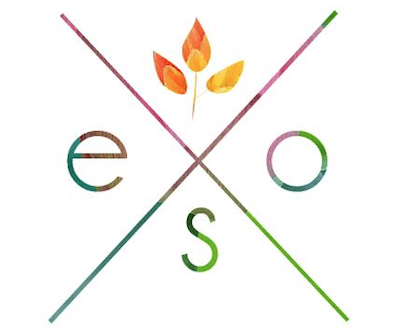 Eucalyptus contains excellent antiseptic qualities, protecting any insect bite or sting from becoming infected. It is one of the best oils at preventing and reducing infection. 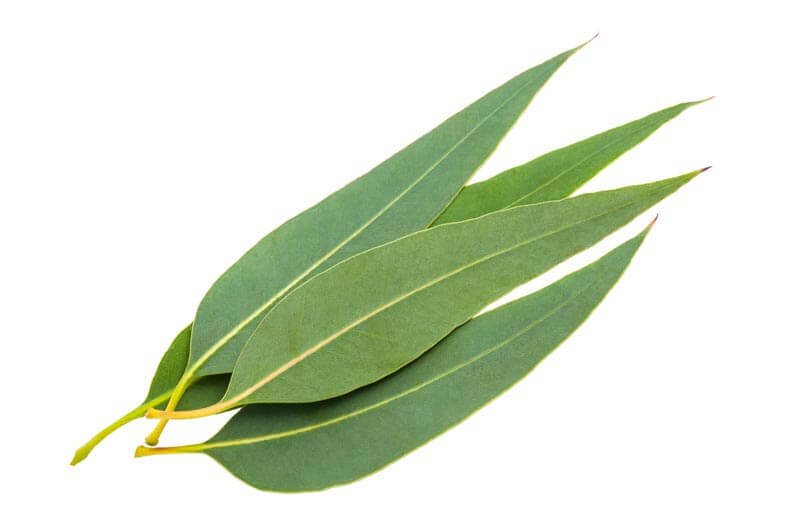 Eucalyptus is an analgesic, antibacterial, anti-inflammatory, antiseptic, antispasmodic, antiviral, cicatrizant, diuretic, insecticide, vulnerary. 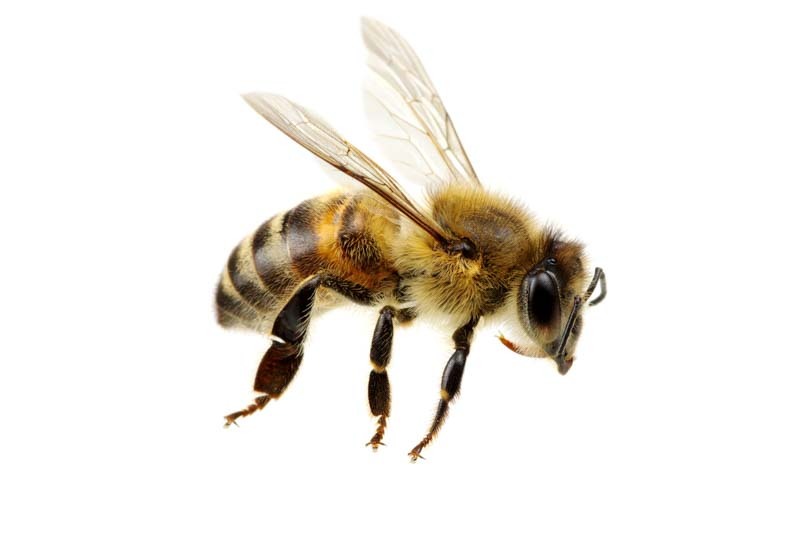 When dealing with a bee sting your first step is to remove the stinger from your skin if it has been left behind. 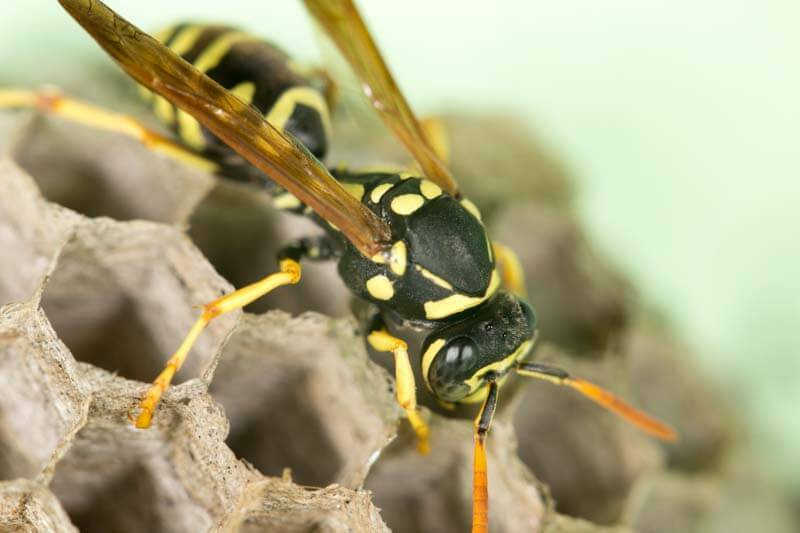 Use tweezers for this and try to avoid squeezing the venom sac while you are removing the stinger. Reapply frequently until swelling subsides. Reapply fresh compresses until swelling subsides. Simply apply a drop or two of lavender and/or tea tree oil. Apply every hour or as required. Once a tick has fallen out it’s best to apply 1 drop of neat lavender to the spot every five minutes to avoid infection and reduce pain/swelling. The important thing to factor in with these kind of bites is the risk of infection. You’ll want to be sure that you bathe the bitten areas well. First things first, when you get a black widow bite – head to the doctor. 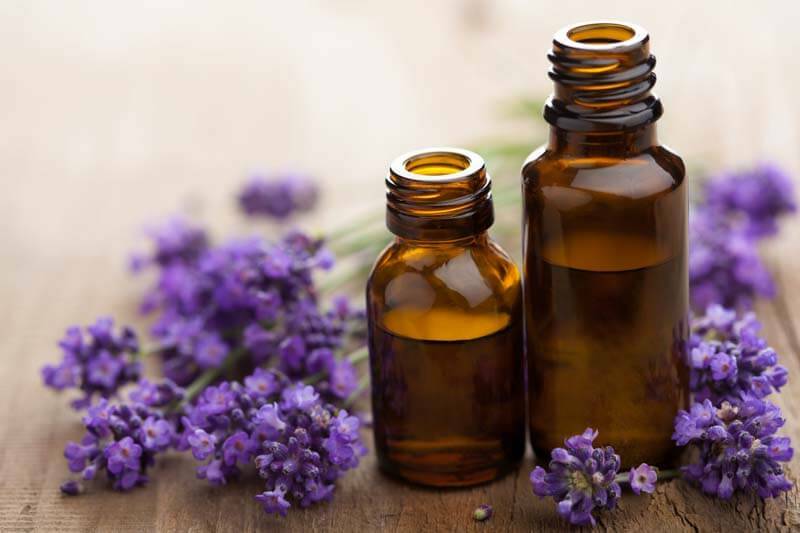 While you are on your way you can apply 10 drops of lavender oil neat to the bite. Lavender is reputed to neutralize the poison of widow bites. 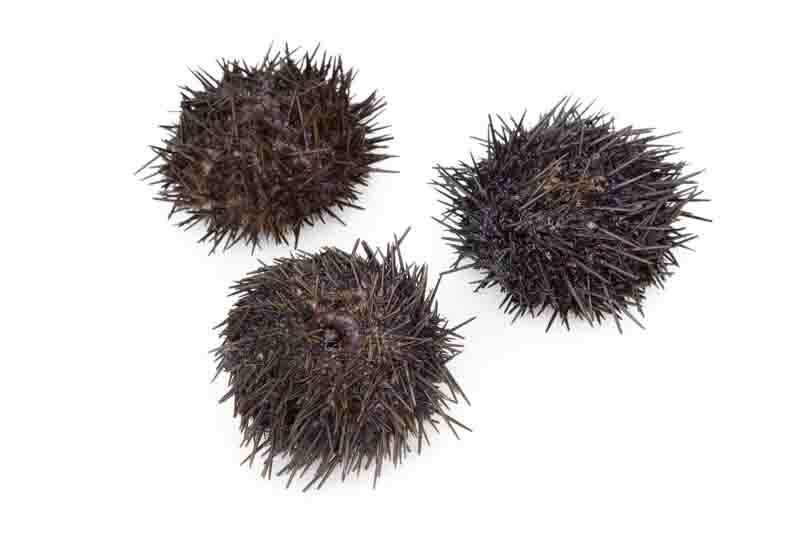 Before you treat your sea urchin wound with essential oils it is important that you get the spikes out. Urchin spikes are extremely brittle and will break easily. Be careful while digging them out and make sure what you are using is sterilized! After you’ve removed the spikes and washed the area apply 1 drop of thyme essential oil neat to the wound every three hours for twelve hours. If you have trouble getting the spikes out you can get a papaya and use the inside skin as a poultice on the area. The enzymes in papaya skin will help dissolve the spikes left in the skin and soothe the area. 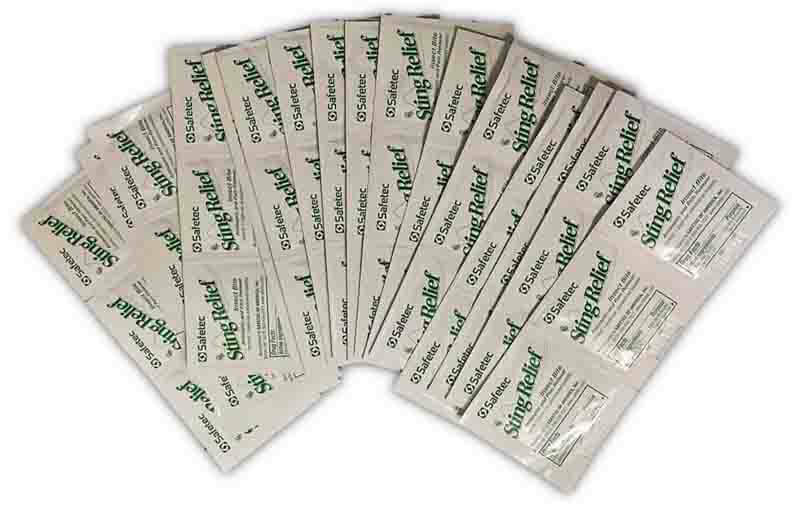 Sting Relief Pads offer soothing aid from all minor irritations, including mosquito bites and bee stings. Can be used for cuts as well. These things work REALLY well and are really handy to have in your sting/bite kit. You get 48 wipes for under $5 here so it’s a good deal. You should get them because they provide a really simple way to treat fresh bites and stings. Another simple remedy to have on hand, this cream does a good job of eliminating pain and itching while neutralizing potential toxins from you bite or sting. 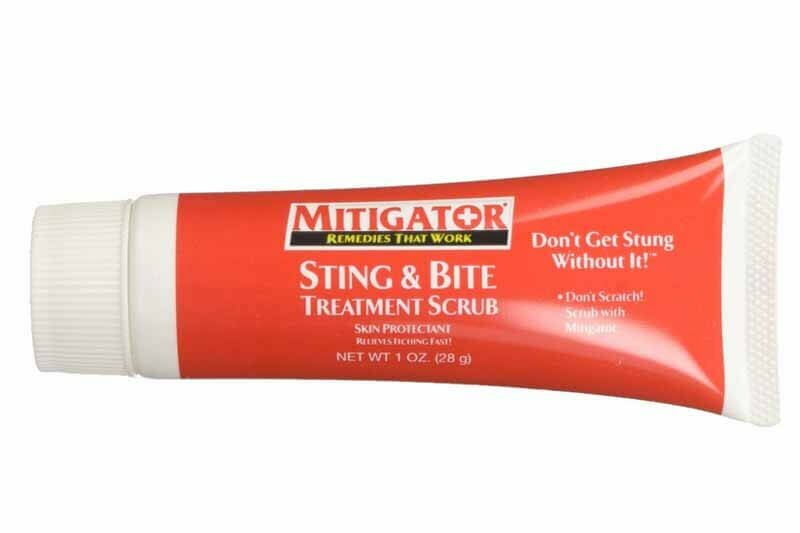 Works well for pretty much all insect bites, including wasp stings and fire ants. Hopefully, the information in this post has been helpful for you. If you have any questions, comments or recommendations of your own please lets us know in the comment section below! 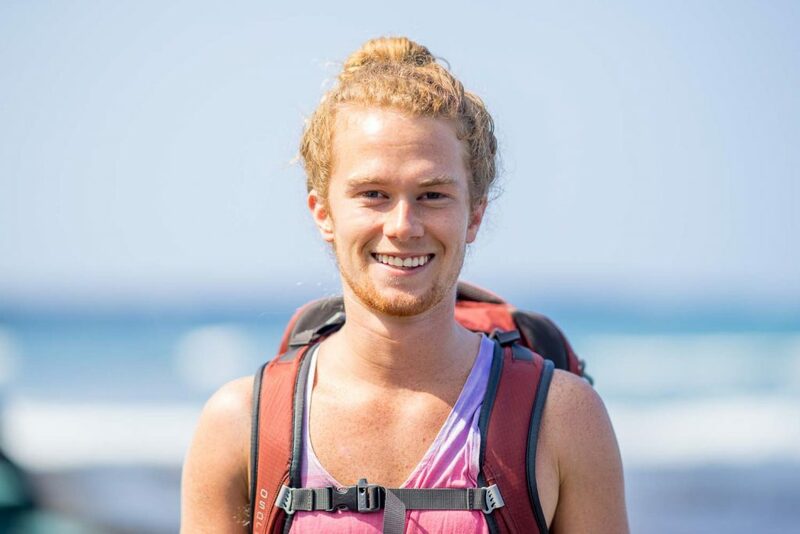 Nice made website, Loren, and some valuable advice here about bug bite treatment. Just let me add one point. On should not treat the tick with anything while its sucker is still inside the skin. The reason is the increasing chance that the tick might release pathogenic germs. Instead better use some great oil treatment for recovery after everything is out. I get weekly allergy shots for numerous allergies. I get a very large welt from one of the 2 shots I get. I would suggest lavender oil for that reaction. Just realized this is an old question, so hopefully you have found relief from your reaction. But if not,here’s your answer. Using tweezers or a tick removal gadget found at most drug stores is still the safest way to remove a tick. It is possible that using any kind of oil can agitate the tick and cause it to salivate more or regurgitate the stomach contents. This increases a person’s chances of contracting a tick disease (like Lyme.) They still need to do more research on this but it is the current thought. Better safe than sorry. Use oils for soothing bite remedies after that tick has been removed! Bentonite or Redmond clay paste works far better than baking soda in our experience. My boyfriend got bit on his arms and hands, yesterday, from many wasps. He came home from work we washed well and also took benedryl…This morning he is itching bad and the swelling is still swollen. I put vinegar on it. I a bit later, after removing the vinegar, i put pepperment oil on it. Is that ok ? I look forward to your advise. Yes, that sounds good Karen. Hope he’s feeling better!